$15.00 Student (Full-time College), $35.00 Fundraiser Banquet. 2. Email form and attached image (.png, .jpeg, .gif, .ai) to MBIRsanantonio@gmail.com. 3. 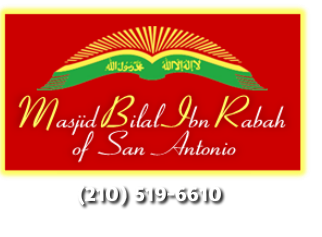 Pay online or mail check or money order to: MBIR of San Antonio, P.O. Box 769116, San Antonio, TX 78245. ​4. All ads and payments must be received by MAY 6th. 5. Ads and vending questions, contact Olaiya Humphrey (210) 446-7910. 6. Sponsorship and banquet table purchase details, contact Zarinah Shakir (210) 414-6338. These hotels are close to the conference site. To get the conference rate, ask for Group Name: MBIR of San Antonio, Texas.